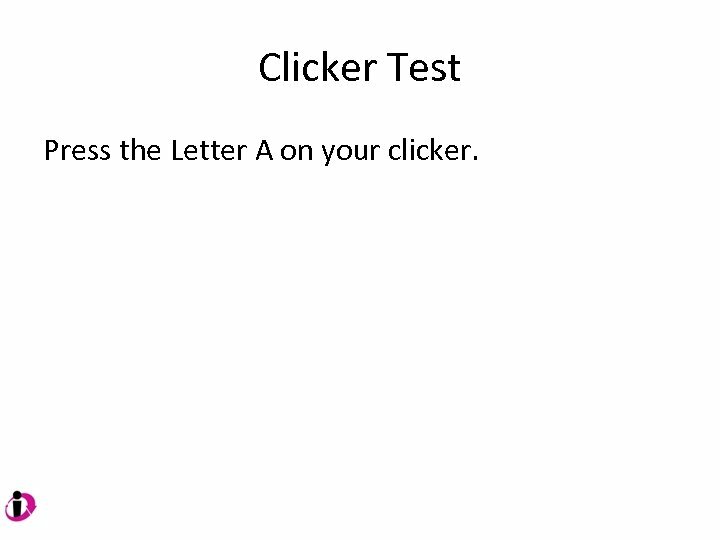 Clicker Test Press the Letter A on your clicker. 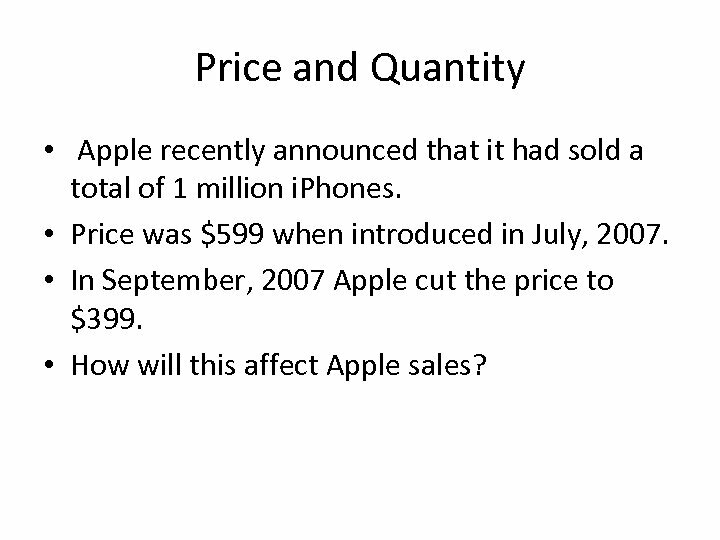 Price and Quantity • Apple recently announced that it had sold a total of 1 million i. Phones. 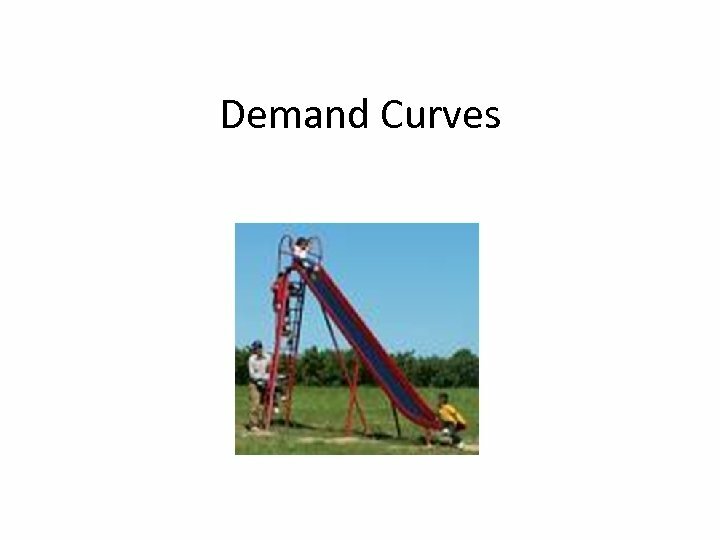 • Price was $599 when introduced in July, 2007. • In September, 2007 Apple cut the price to $399. 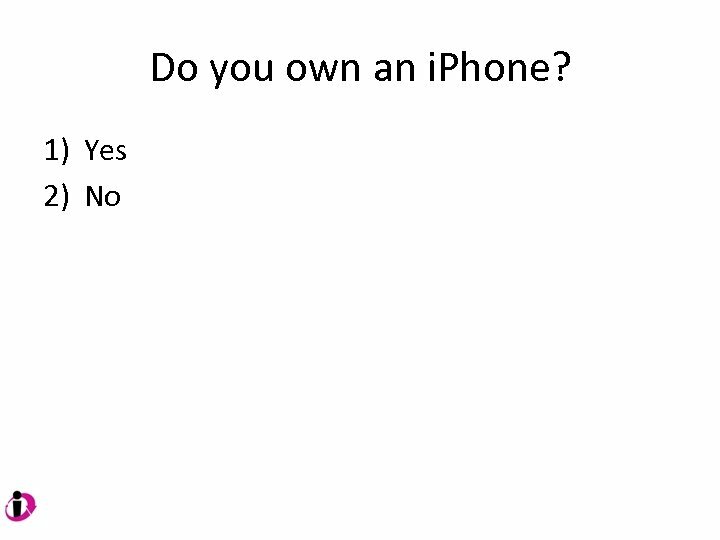 • How will this affect Apple sales? 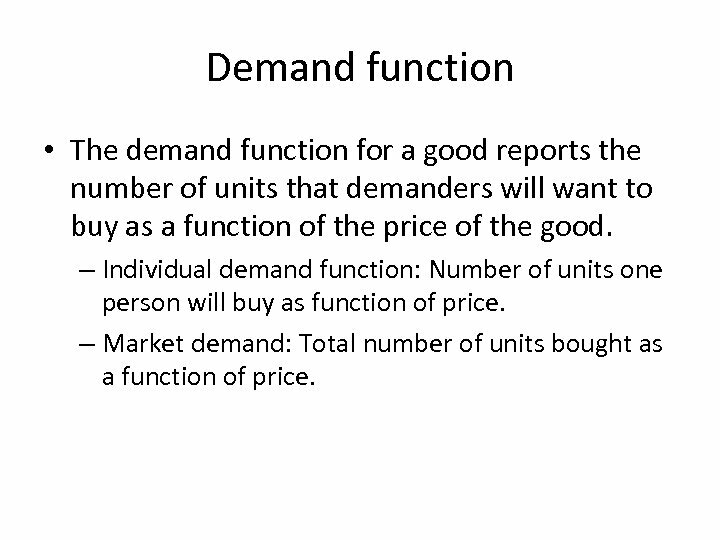 Demand function • The demand function for a good reports the number of units that demanders will want to buy as a function of the price of the good. 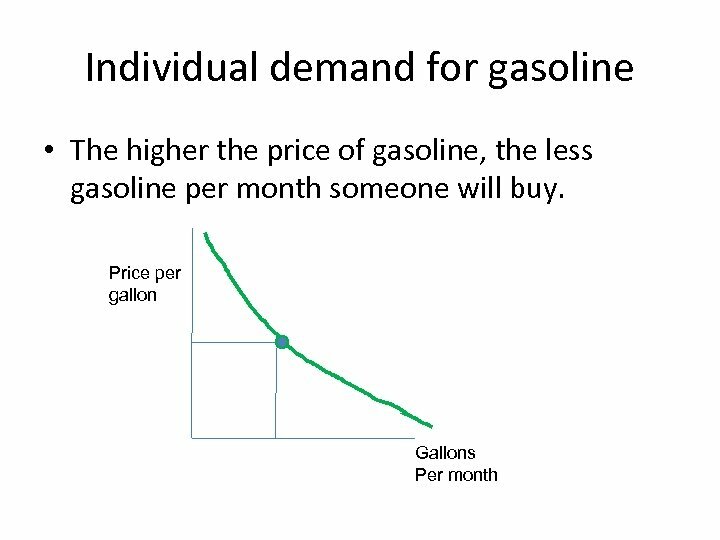 – Individual demand function: Number of units one person will buy as function of price. 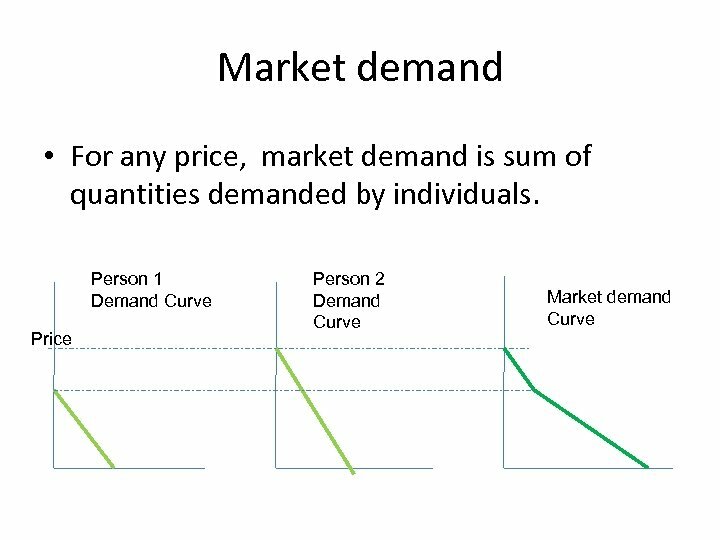 – Market demand: Total number of units bought as a function of price. 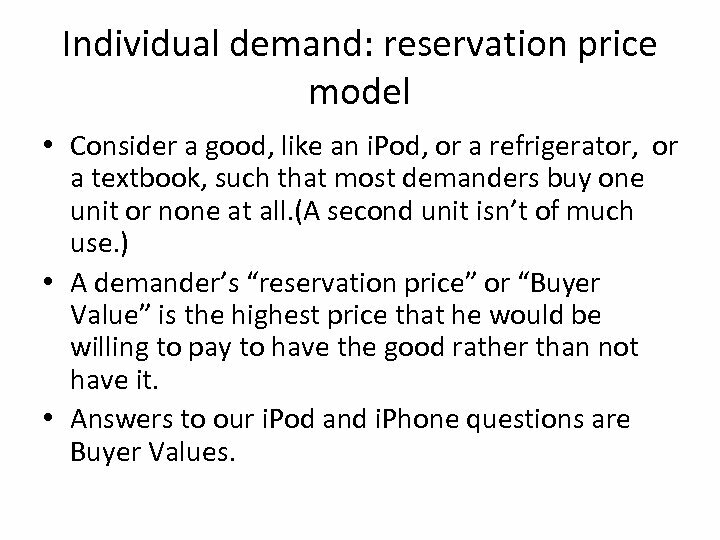 Individual demand: reservation price model • Consider a good, like an i. Pod, or a refrigerator, or a textbook, such that most demanders buy one unit or none at all. 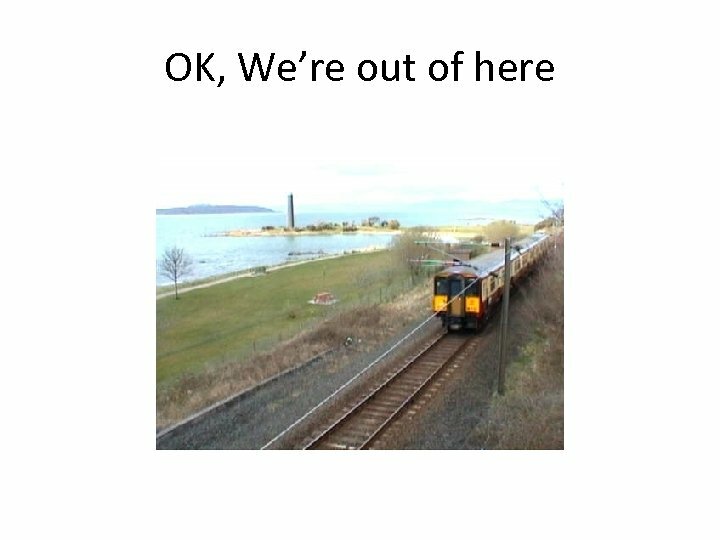 (A second unit isn’t of much use. ) 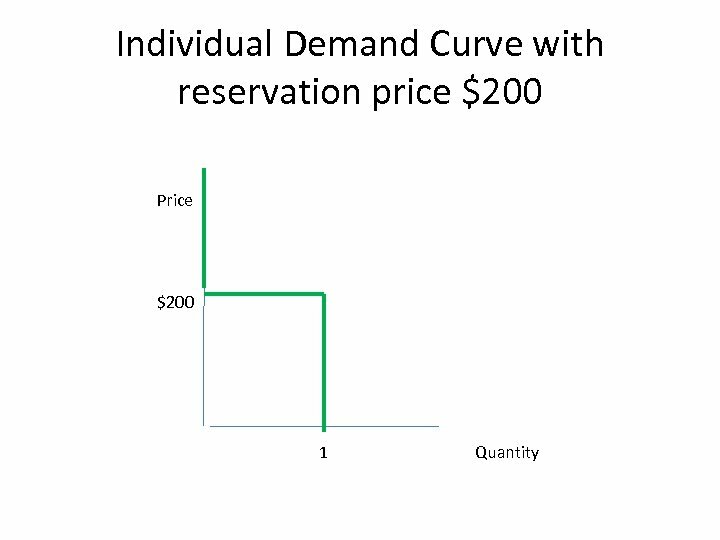 • A demander’s “reservation price” or “Buyer Value” is the highest price that he would be willing to pay to have the good rather than not have it. 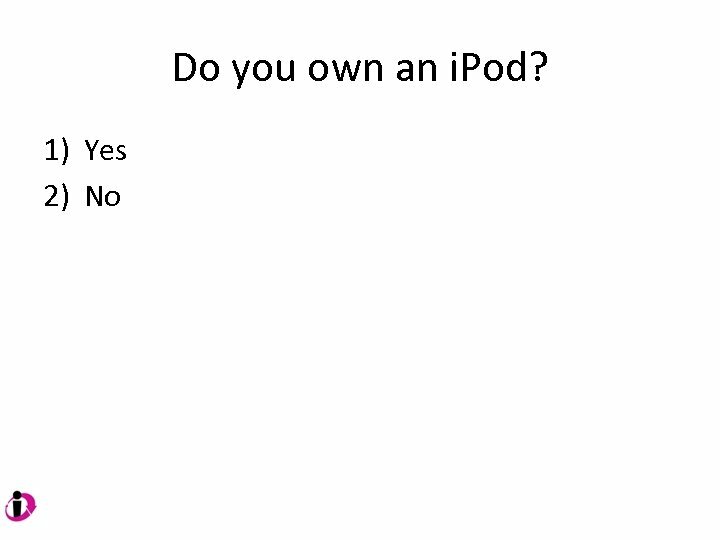 • Answers to our i. Pod and i. 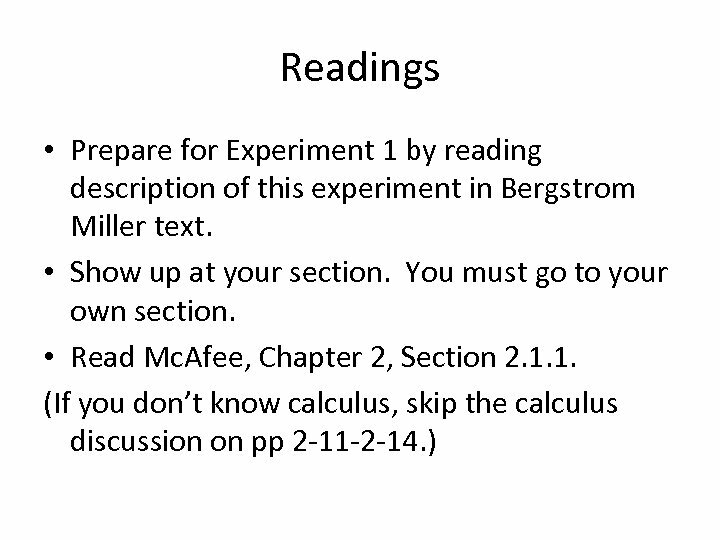 Phone questions are Buyer Values. 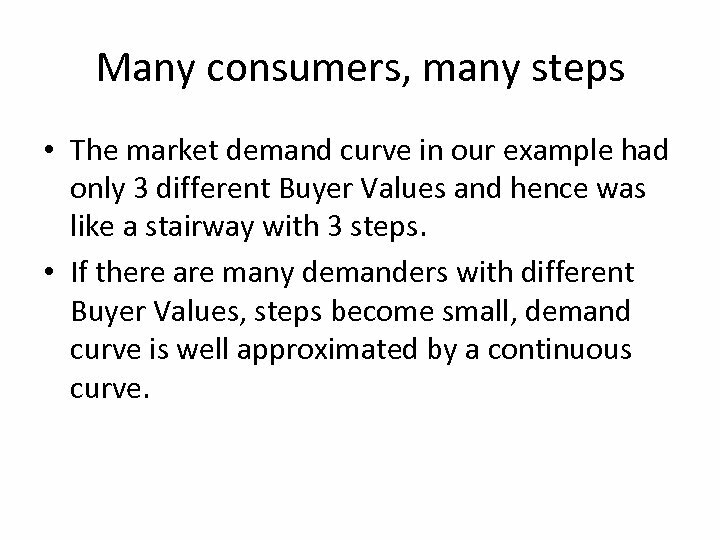 Many consumers, many steps • The market demand curve in our example had only 3 different Buyer Values and hence was like a stairway with 3 steps. 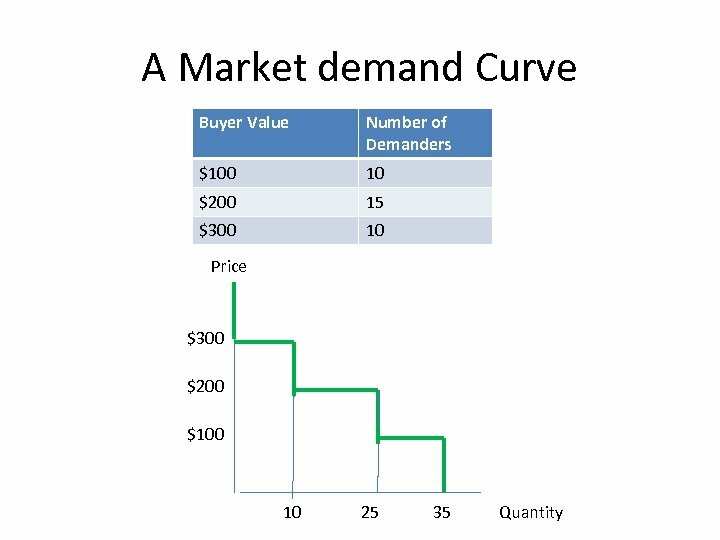 • If there are many demanders with different Buyer Values, steps become small, demand curve is well approximated by a continuous curve. 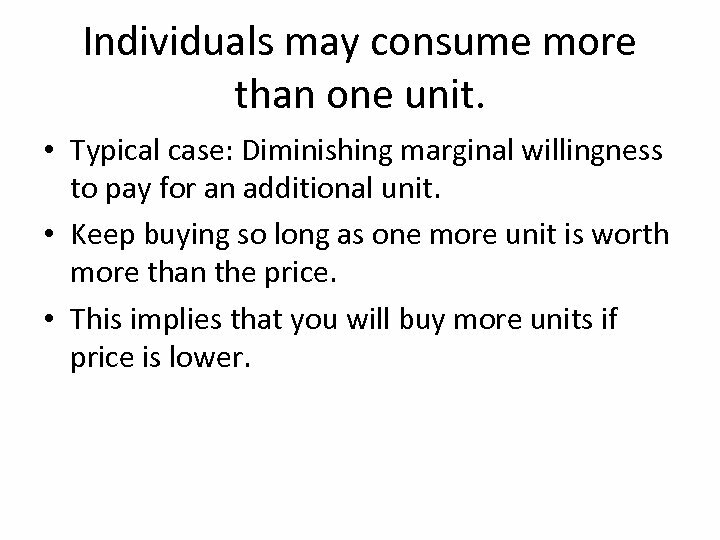 Individuals may consume more than one unit. 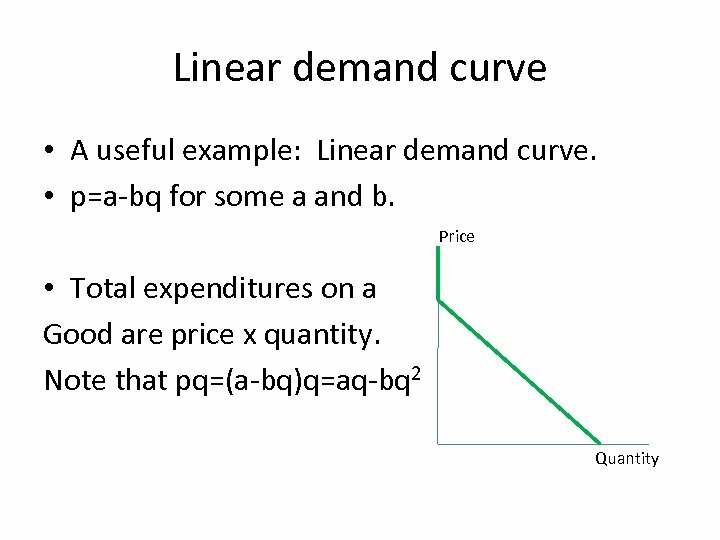 • Typical case: Diminishing marginal willingness to pay for an additional unit. 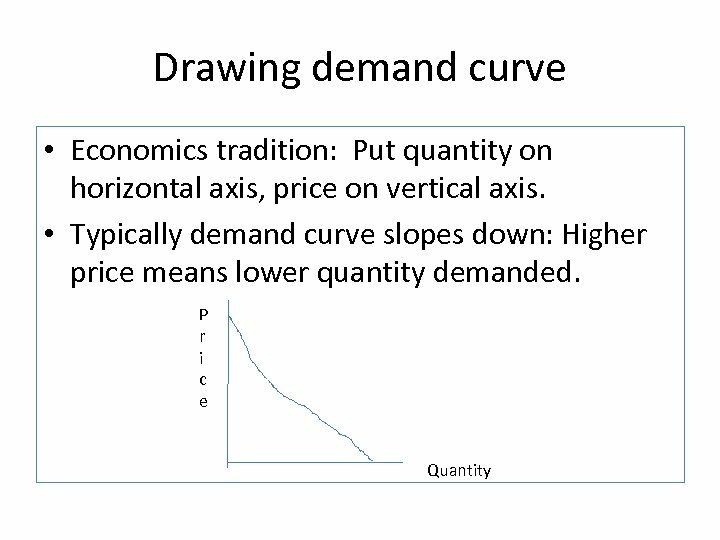 • Keep buying so long as one more unit is worth more than the price. 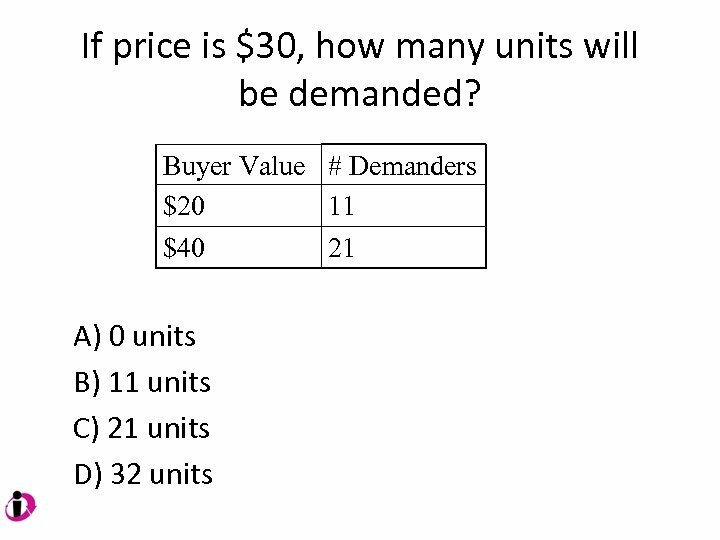 • This implies that you will buy more units if price is lower. 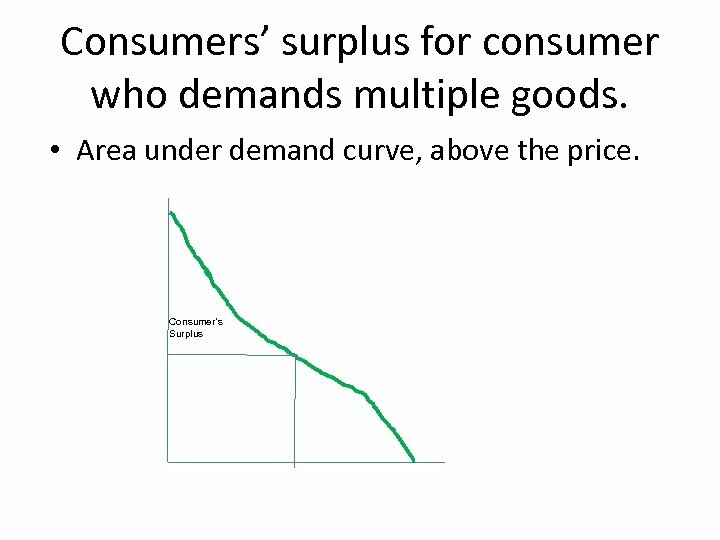 Consumers’ Surplus • Difference between what you pay for a good and the most you would be willing to pay rather than go without the good. 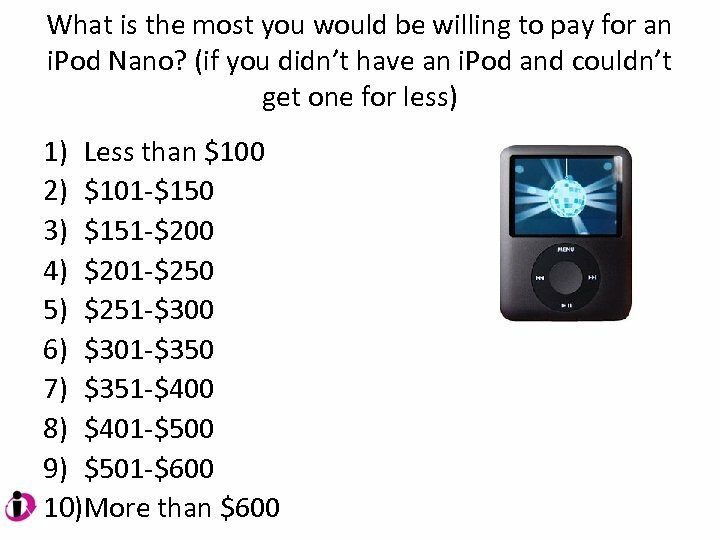 • Example: You are willing to pay $350 for an IPOD nano. They cost $199. 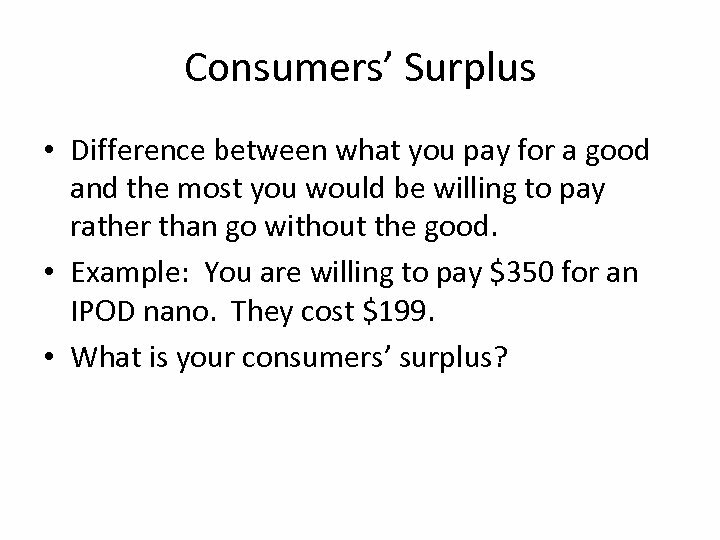 • What is your consumers’ surplus?